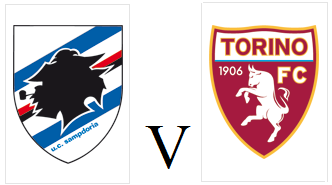 Walter Mazzarri kept his unbeaten record as Torino head coach in tact as ten man Toro earned an impressive point against Sampdoria. Mazzarri changed formation for this game as the Granata lined up in a 4-3-1-2 formation, with Afriyie Acquah replacing Alex Berenguer in the starting eleven. Toro had a great chances to take the lead in the opening moments, but Iago Falque's shot was blocked by Nicola Murru. The home side then took the lead after only eleven minutes thanks to Lucas Torreira's clever free kick. The Uruguayan midfielder drilled the ball into the Sampdoria players in the wall, who ducked, and unsighted Toro keeper Salvatore Sirigu. Toro equalised less than fifteen minutes later thanks to Afriyie Aquah's deflected shot from outside the area. In the second half, Tomas Rincon tested one-time Toro target Emiliano Viviano with a volley from just outside the area. With seventeen minutes remaining, Afriyie Acquah was sent off after receiving a second yellow card for a foul on Torreira. However, despite being down to ten men, Toro were continuing to create chances, and after a quickly taken free kick, substitute Andrea Belotti went through on goal but blazed over the bar. Sampdoria came close to clinching all three points thanks to Valerio Verre's long range strike, but Sirigu tipped it over the bar to earn Toro a deserved point. Walter Mazzarri will return to former club Sampdoria looking to maintain his unbeaten record as Torino coach. Mazzarri enjoyed a successful two year spell in charge of Samp as he guided them to a 6th placed finish and a Coppa Italia final. Andrea Belotti could return to the starting eleven after he returned from injury against Benevento, whilst Simone Edera also returns to the squad. Sampdoria have enjoyed another impressive under coach Marco Giampaolo and are currently in 6th place, five points ahead of Toro. 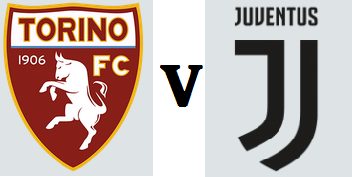 Their home record is also an intimidating one, having won eight of their eleven fixtures at the Stadio Luigi Ferraris. 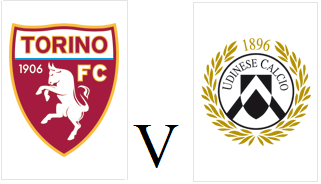 Torino made it seven points in three games since Walter Mazzarri took charge as they beat 10 man Benevento 3-0 on Sunday afternoon. Mazzarri once again named an unchanged starting eleven, although Andrea Belotti was fit enough for a place on the bench. Toro made the perfect start and were ahead after only three minutes when Alex Berenguer's cross found fellow countryman Iago Falque who headed home. Despite the early goal, Benevento were the better team and had chances to equalise through Massimo Coda and Guilherme. However, the turning point of the game occurred in a strange incident ten minutes before half time when visiting goalkeeper Vid Belec was shown a straight red card. Belec was initially impeded from releasing the ball to start a counter attack by M'Baye Niang, and the Slovenian keeper reacted by kicking out Niang, leaving the referee with little option but to send him off. Niang showed no ill effects of his altercation with Belec, as only moments later, he doubled Torino's lead with a well-taken goal. Toro added a third goal on the stroke of half time (after a VAR review), as Joel Obi was on hand to score after Lorenzo De Silvestri's original header was parried. 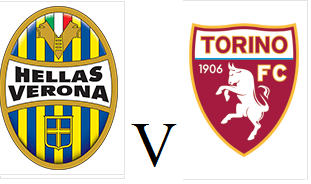 Daniele Baselli and Iago Falque both had excellent chances to extend the Granata's lead in the second half, whilst Andrea Belotti also made his return from injury for the last half an hour but Toro settled for a 3-0 victory.